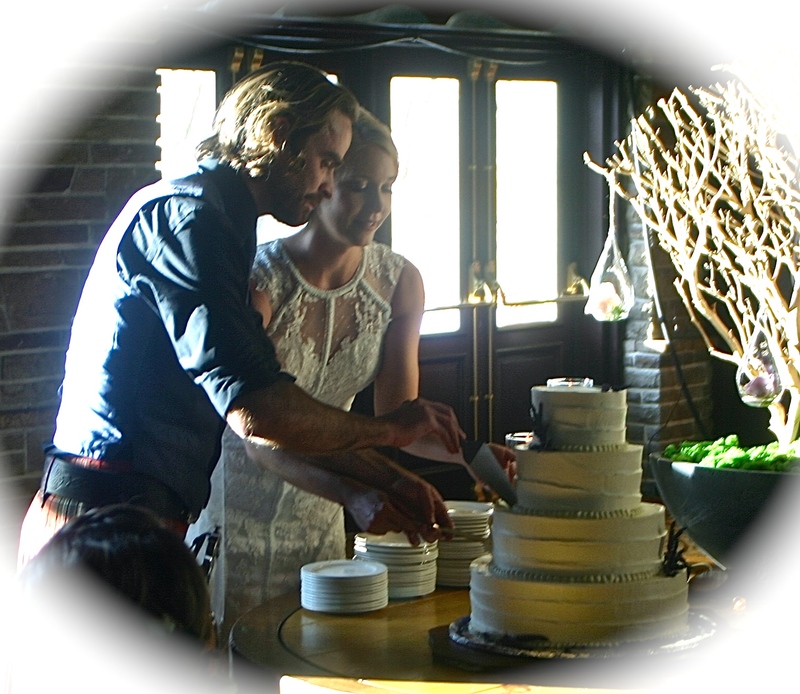 Gordon and Megan share a moment while cutting their cake. What a great four days at the Jasper Park Lodge with the Corns/McLean extended families and friends. It seems only yesterday Roy, Maggie, Dan, Ben, Megan, John, and Alison (then just two years old) moved in next to our home in Victoria, British Columbia. Over the years the Corns family filled our lives with many fond memories and after attending the wedding of Megan and Gordon it is clear the friendship will extend for many years into the future. While much has changed in our neighbourhood since the family moved to Edmonton, we still hold fond memories of the kids and that basketball hoop at the end of our cul de sac that was in constant play. Today a hockey net has replaced the hoop, but the laughter of children that brought so much joy to our hearts in the past, continues to this day. The visit to Jasper also again reminded us of how small the world has become. It only took a few hours of getting to know the other guests to realize that more than half of those present were either born, lived, studied or worked in countries other than Canada and those countries spread to the four corners of the earth. This group is another reminder that building bridges to the four corners of the earth will serve us much better than building walls. Because so many of the family and friends attending the wedding were from other parts of the world, the best I could do to capture the memories was to keep the shutter clicking as we filled the days with fun and laugher. Because I could not keep up with all the names, I have placed a selection of photos on an open Facebook Page and hope that each of you will take a few moments to list the names of those you recognize (including yourselves of course). With the Corns on one side and the McLean’s on the other, we should be able to tag almost everyone. Over the four days I learned a bit about many of you as we spoke of people, places and careers in which our lives have intersected. I am hoping we can connect on FB or by email as a means to remain connected in the coming years as you can be sure Lynn and I would love the opportunity to show you around Victoria and the Vancouver Island. Also, because Lynn and I have been known to occasionally venture forth into this wide world, you never know when one day we may land on your doorstep. Please take a moment to add your name into the Facebook Page and if you wish to send a friend request to my regular FB Page, you can be sure I will accept. If you prefer email that also works as a means of keeping in touch. With respect to photos, I will link them to other in our family who live in your cities and towns and who you may one day run across. Comments in specific photos will explain the background as I remember. I hope that those of you who have travelled so far for the wedding will have an opportunity to enjoy other parts of Canada before you return, and for those who have taken up residence in Canada, that you will find it a welcoming and loving place to begin a career and perhaps a family. As Megan and Gordon began their married lives it is clear they will be surrounded by many good folks who are working hard to make this world a better place and who will form the backbone of their family and friends base.